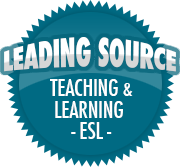 Social Skills | So, You Think You Can Teach ESL? Do you ever get frustrated? I do, some days more than others. There are days when nothing seems to go right: students don’t pay attention, nobody did their homework, administrators are on your back, and numerous deadlines for plans, tests, etc. I try to manage my stress as best as I can. Teachers aren’t the only ones who get frustrated or angry during class. Students do, too. Kids can be cruel and pick on each other. Sometimes it’s innocent joking or teasing that a student misunderstands, and other times it is outright bullying. So, how do you deal with angry or frustrated students in class? I came across an article on my Facebook feed that shared five ways to deescalate angry students. You can read the article here. BREATHE and THINK before you act. – When you see an angry student, find a positive and caring way to respond. Observe the student’s behavior. – Check out the body language, tone of voice, and look for signs of aggression, sadness, or off-task behaviors such as looking around the room. Proximity – Give the student space once you’ve assessed his/her behavior. If possible, move the student to another area. Talk to the student in a calm, caring manner, and ask about how he/she feels. Give options, not threats. – Angry students disrupt the classroom and inhibit the other students from learning. When a student is angry, give the student the option to leave the room for a few minutes to calm down. I give my students the option to run to the bathroom, take a few breaths and wash their face. I also give my students the option to talk with me or the Korean co-teacher after class if the feel the need. Threats only make things worse and students learn to distrust you. Follow up briefly later on. – While many incidents may blow over within the next class period or so, it’s a good idea to check-in with the particular student the next day. Make sure they have made their peace, and if not, give them the option to do that. Encourage them to think through their choices and make a positive one. If they student does not make a choice, you may choose for them, even though it may escalate the situation. And I’ll add a sixth item: Document everything. It should go without saying, but it’s easy to forget. Having a behavior form or incident report filled out with the student’s actions and the teacher’s response serves as insurance in case parents or administrators want to know what happened. Sometimes parents only hear one side of their story and fail to understand the bigger picture. If you have any more suggestions, please write a comment or two.